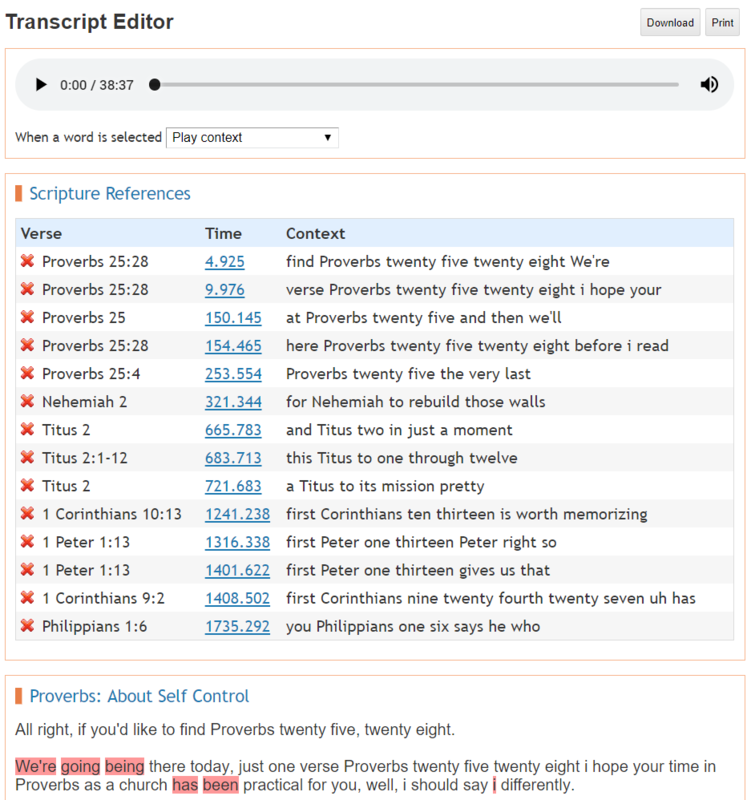 Keep track of your sermon with our AI assisted speech recognition system. Our system will automatically generate a transcript for download, search and closed captioning. We include an easy to use editor allowing you to correct any errors made by the AI text to speech engine. We also automatically tag scripture references.